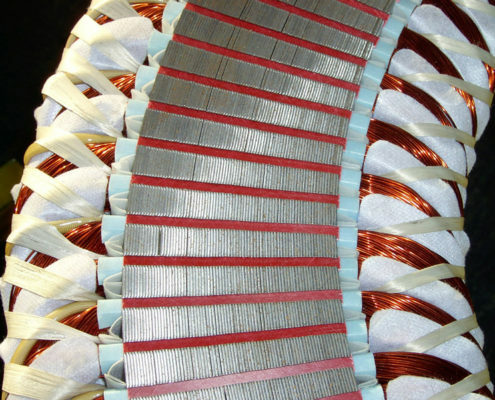 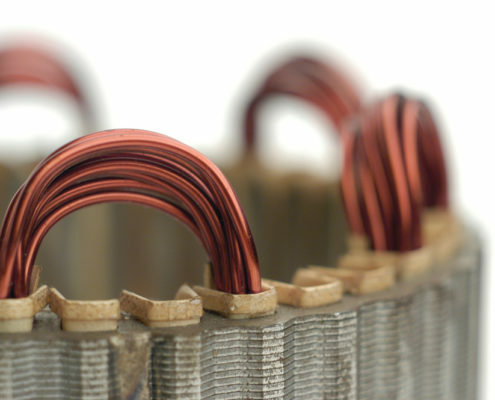 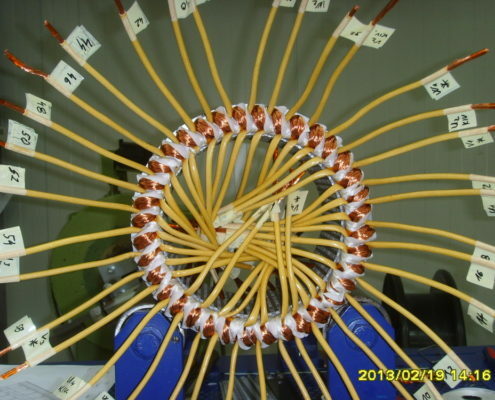 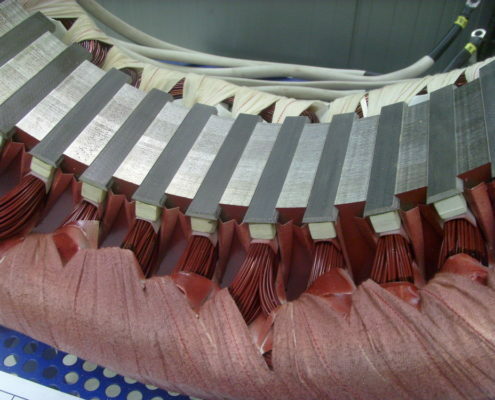 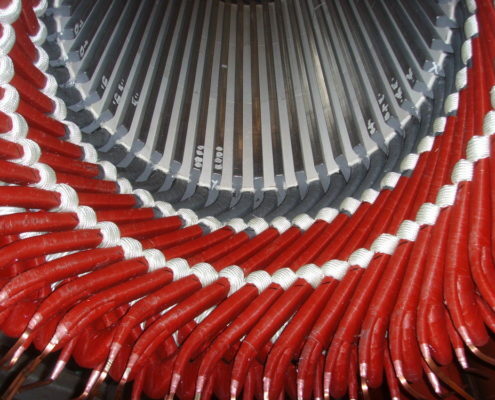 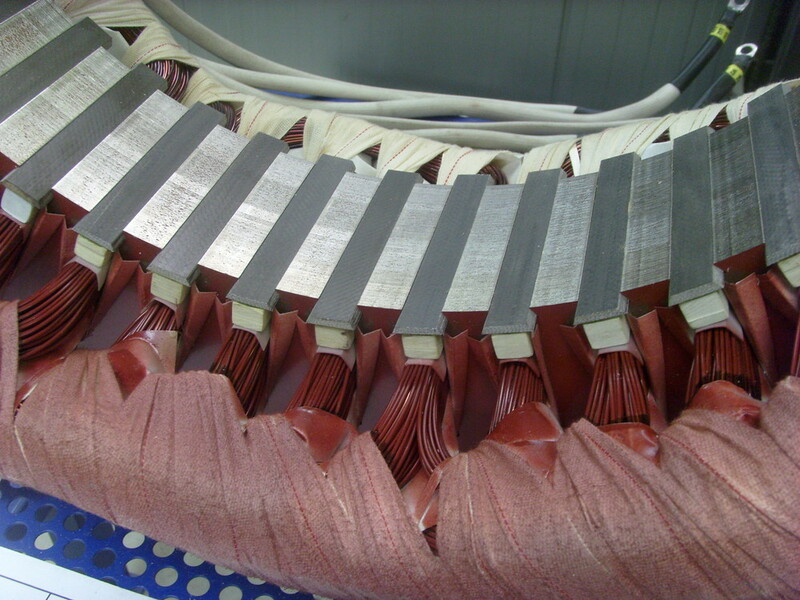 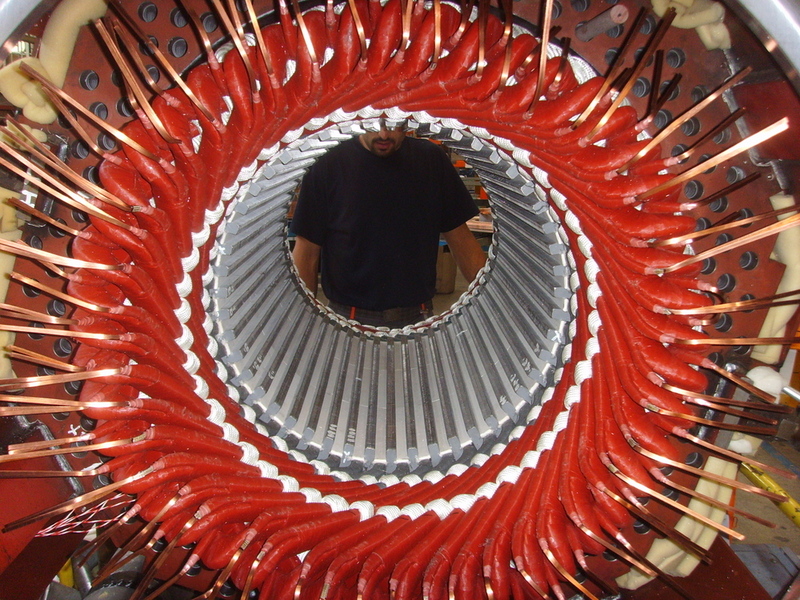 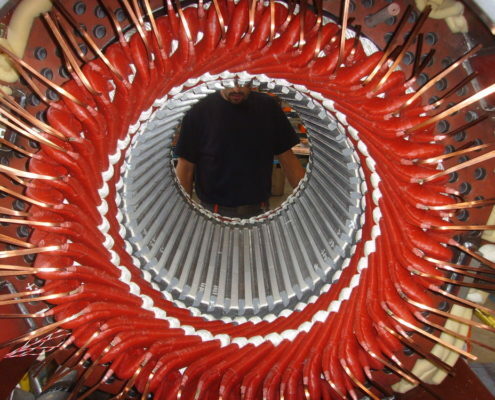 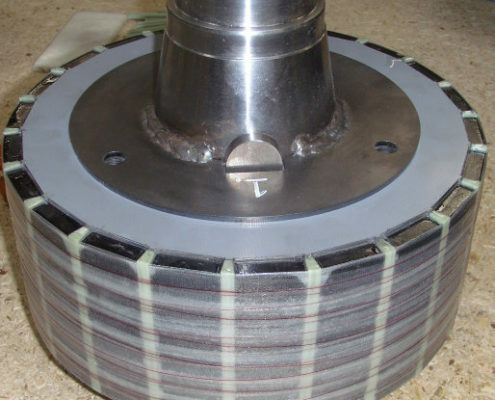 An electromagnetic coil (or simply a „coil“) is formed when a conductor (usually a solid copper wire) is wound around a core or form to create an inductor or electromagnet. 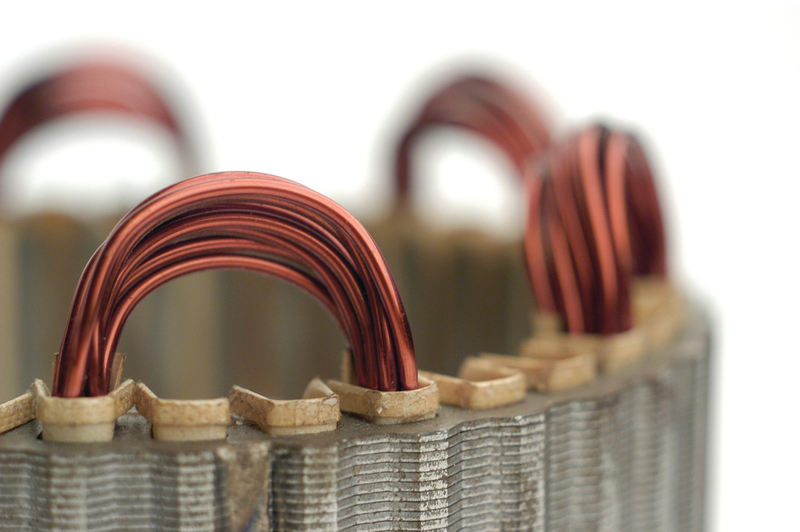 One loop of wire is usually referred to as a turn, and a coil consists of one or more turns. 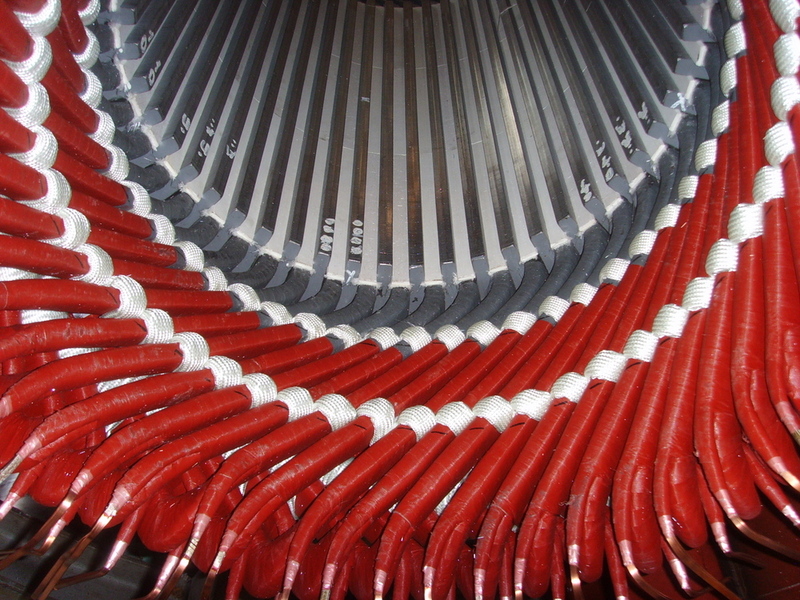 For use in an electronic circuit, electrical connection terminals called taps are often connected to a coil. 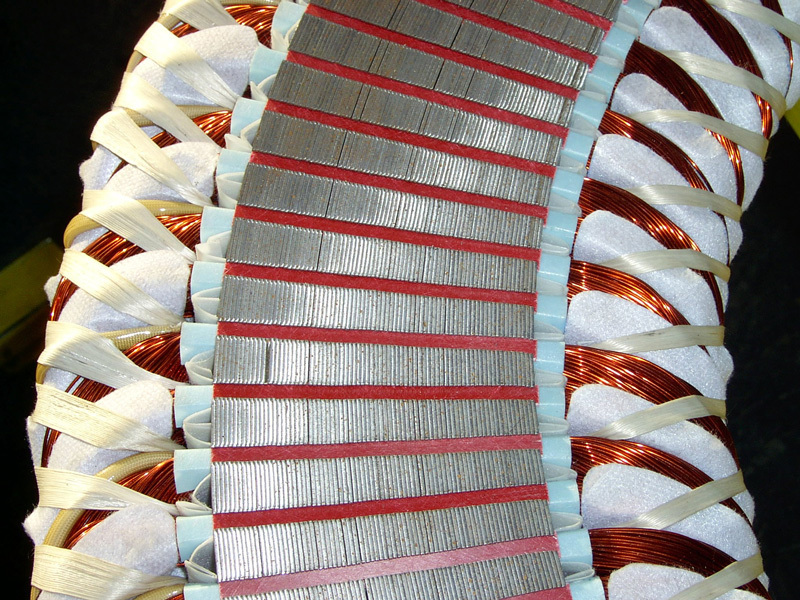 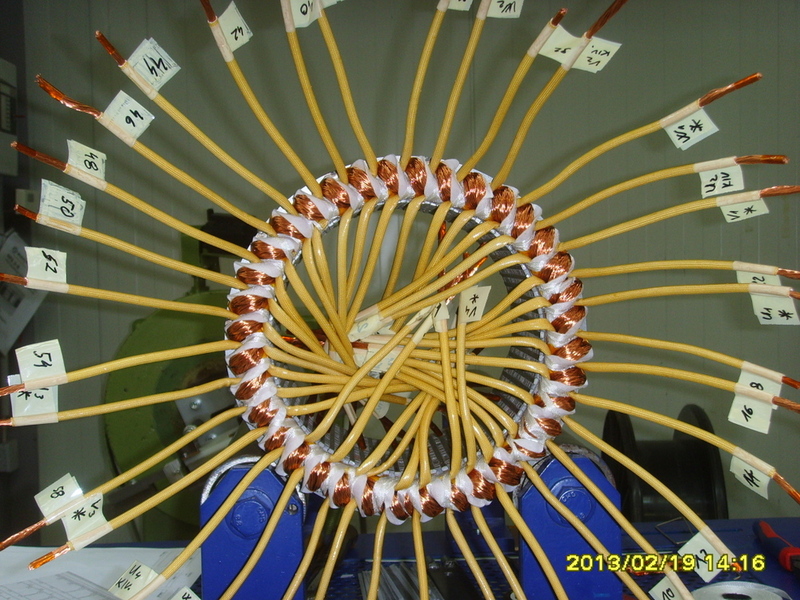 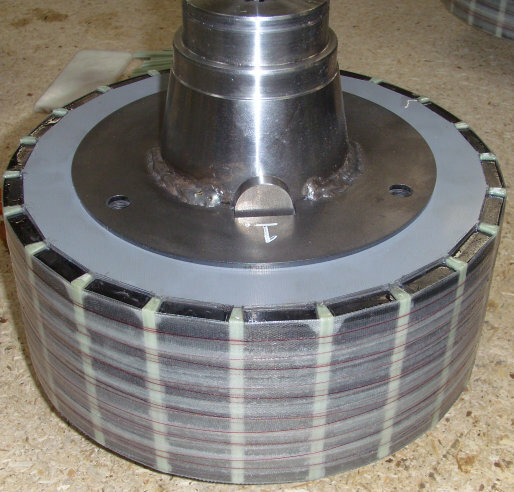 Coils are often coated with varnish and/or wrapped with insulating tape to provide additional insulation and secure them in place.